Let Healthy Wealthy nWise help get your message out! To give you an idea of what our new magazine looks like, and the content we publish, you can access it one of two ways. 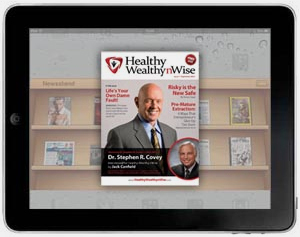 If you’ve got an iPad, go into the Newsstand and search for Healthy Wealthy nWise. First issue is free when you download the app. Articles to be 300 to 500 words. Videos and Audios preferably less than 10 minutes long and can even be as short as 3 to 5. When you send it in, please make sure we have FULL contact info for you in case we have any questions. If you’re submitting on behalf of the Author, Speaker or Mentor, please make that clear as well. The brand new, go to place for Personal and Professional Empowerment. Think of a Personal Development Social Media hub. Think Huffington Post meets Pinterest and all focused on inspiring, motivating and educating content. You can add new content there every day to help build a following, highlight your current efforts, help launch a new book, or a thousand other uses. Sign up today and start getting your content to our hot audience! Launch your Book with Hasmark Services! 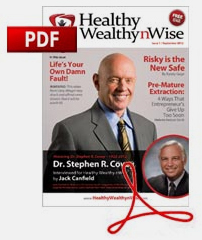 Hasmark Services has helped a number of authors we’ve published in Healthy Wealthy nwise, as well as help spread the word about our own magazine. If you’ve got a book coming out, or thinking about a book launch for an existing book, Hasmark needs to be on your Must Contact Now list.